Later this month they will bring their infamous party to London town, a little piece of New York will touch down in the capital for a special Sunday affair which promises to be most delightful. "Only sometimes, there was light, hailing from fires lit by homeless people. With our friends we shared blackberries and plums, picked in the small gardens that were strung along the hillside ... So close already, still not yet knowing of each other." The Russian producer guides us amidst the backdrop of the city. The Unsound resident shows us around her favourite spots in the Polish city. The duo guide us around their favourite spots in the Brazilian city. ""Growing up here in Paris, style and aesthetic are part of your everyday life." The One Eyed Jacks label head guides us around the Portuguese city. New York, New York... the city that never sleeps as they say. A bustling metropolis with high rent, towering skyscrapers and busy people with places to be. However, if you look beneath the shiny surface there is a wonderful realm of opportunity, tranquil corners and a culture all of its own. 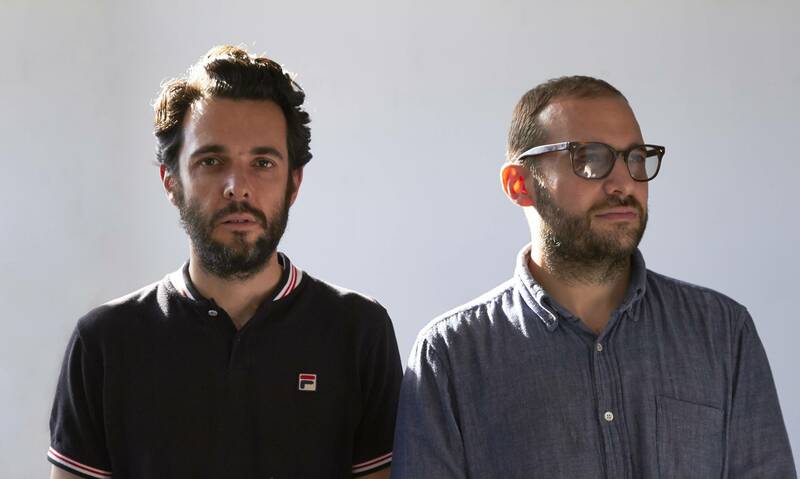 Mister Saturday Night are widely regarded as one of the most dynamic and influential dj duos in the city, for a long time they have been responsible for promoting some of the most inspired and talked about parties. From abstract loft affairs through to moonlight dancing beneath the glow of flickering fairy lights - they have captured the heart, soul and spirit of the city through their music. The music policy is varied, no holds barred and limitless and as such their eclectic taste has been widely praised and supported across the globe. Now as a touring duo in their own right they have taken with them a signature sound all over Europe, America and beyond. Later this month they will bring their infamous party to London town, a little piece of New York will touch down in the capital for a special Sunday affair which promises to be most delightful. It can be hard to find a tranquil space in New York. It's a chaotic, noisy place and there can seem like few options to get away from it all other than getting out of the city. What's nice about Greenwood cemetery is that it's huge (nearly 500 acres) but it's also on a hill, so you're afforded an extra opportunity to actually get away from it all. It's also one of the oldest parts of the city, and you can explore the history of new York by paying attention to the stories of the different residents who are buried there. My wife's grandfather lives in Whitestone, an outer Queens neighborhood. (This is Justin, by the way.) Most of the time when I go to visit, we're eating home cooked meals, but a couple years ago I went, and we decided to go out for Chinese. I thought we'd have to go a couple neighborhoods over to Flushing (the Chinatown of Queens), but it turns out that as the population of the neighborhood has shifted (used to be Italian, German, Irish, but now it's shifting toward becoming a well-to-do Chinese neighborhood) an amazing Szechuan place has popped up around the corner from his house. It's called Legend of Taste, and it lives up to the name. Fragrant and delicate numbing chicken; delicious soup dumplings and perfectly cooked pea shoots; a warm and friendly staff; and the crowd that's a great mix of old school Queens and new school Queens. You've gotta have a car to get to the place, but it's absolutely worth it, especially considering the fact that Utopia Bagels (hot tip! best bagels in all the world!) is across the street. 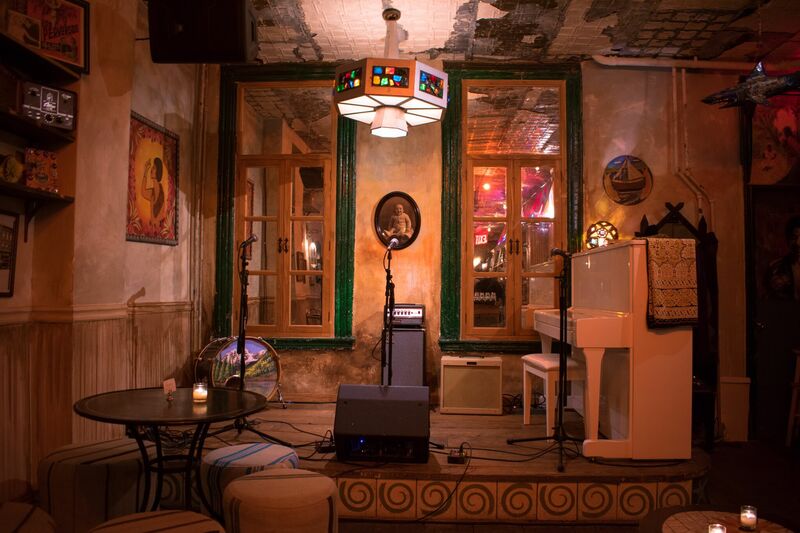 Bar Lunatico is a bar/cafe in Bed Stuy that hosts live music every night of the week. 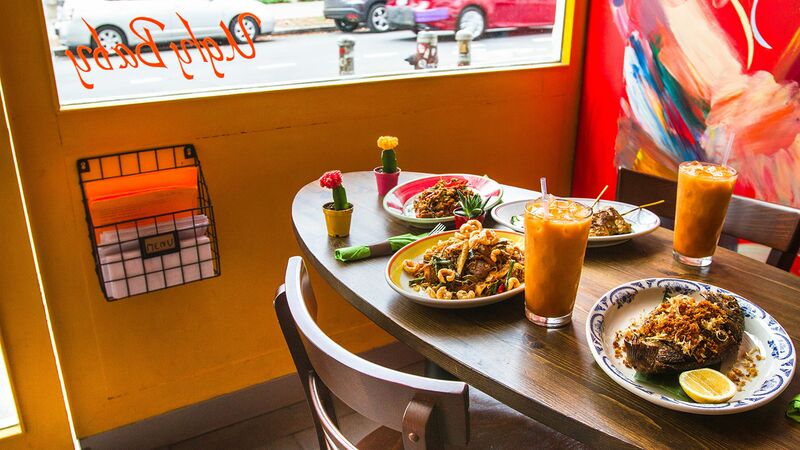 The drinks are good, the food is solid, there's a genuine vibe that different kinds of folks from the neighborhood are rolling through regularly, and it's free. You can experience everything from a jazz trio to a solo singer/songwriter or Will Shore and Dave Harrington playing an improv set. There's just not a lot of places like this left in New York, and this one should be celebrated. 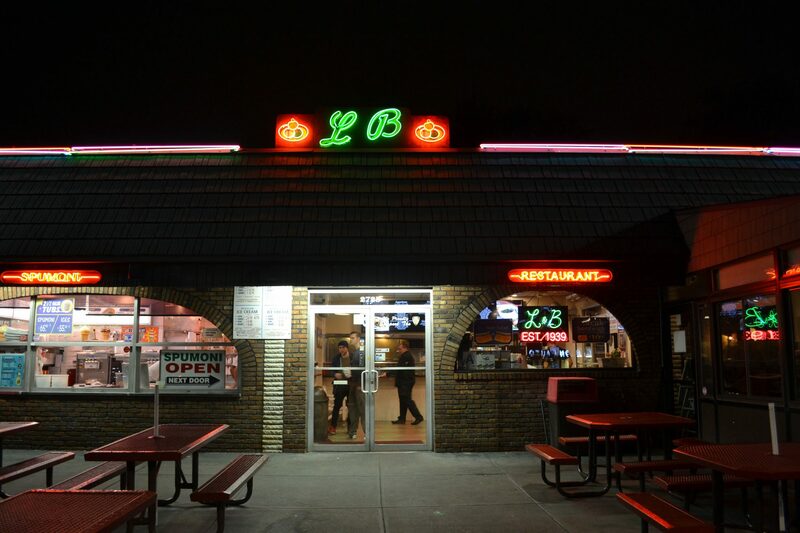 L&B is a real deep-Brooklyn experience, and once again, you kind of need a car (or be willing to take quite a long bike ride) to get there. The pizza is unlike most other New York pizza, more of a Sicilian style, where the dough is less charred and more thick, light and fluffy. The cheese is directly on the dough and the sauce is on top. The pizza is so delicious, but it's also a pretty classic deep-Brooklyn scene, lots of Italian Americans rolling up in their cars, double parking, wearing track suits, etc. You will likely be reminded of the Sopranos. (In a dark twist, the owner was recently shot down in his back yard, but his assailant didn't touch the $10K in cash the owner had in his pockets – perhaps more Sopranos-like than just the aesthetics.) It all happens outdoors, too, so on a nice night, it's great. A New York experience most New Yorkers don't even know about, no less tourists. One thing to note: if you go there, you should know there are actually three different restaurants. On the left is the pizzeria. This is where you want to go. In the middle is the ice cream stand. That's where you wanna get your spumoni or soft-serve post-pizza. On the right is a sit-down restaurant, which you do not want to go to, unless you want to order a post-meal coffee or use the bathroom. Ugly Baby ticks all the boxes for food that you'd typically have to go to Queens to get (legit native cuisine that doesn't feel like it's catering to a western palate), but it also feels like a happening spot, not in a pretentious way, but in a fresh way: it's staffed by cool, young, friendly Thai folks with skater vibes. It's apparently Thai food in the way it would be served in Thailand, some small dishes, some large dishes, all brought to the table when it's ready as opposed to being brought in courses. Everything is pretty spicy, some dishes so spicy it's hard to finish the whole plate (though we typically push through). They've also got a killer beer and wine list. Follow Mister Saturday Night HERE and more details on the London party on Sunday the 25th can be found HERE.